Website design and development. Social media management. Search engine optimization and marketing. App development. Consulting. The interactive medium is a valuable component in the overall branding framework. BARN3S is a digital agency combining technology, creativity and insight to turn customers’ brands into engaging digital destinations. BARN3S Agency is located in the heart of downtown Tulsa amidst the bustling arts and culture in the Deco District. Our offices reside in the historic McFarlin building. Stop by and say hello. Our team employs an eclectic mix of artistry, programming and rock-solid marketing know-how. Attention to detail and the drive to heighten the chemistry between the end-user and their online experience is what we’re all about. Seriously. BARN3S has the expertise and experience to ensure the trouble-free and effective management of projects, from conception to completion. The mission of Tulsa Historical Society is to illuminate the past, enrich the present, and inspire future generations by collecting, preserving, and presenting Tulsa’s History. 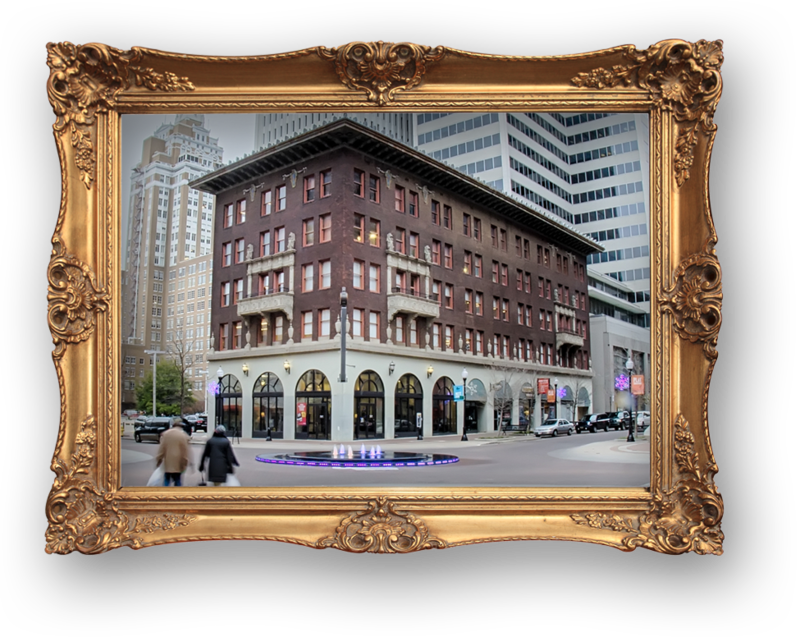 BARN3S developed a website that beautifully highlights and preserves the city’s rich past. 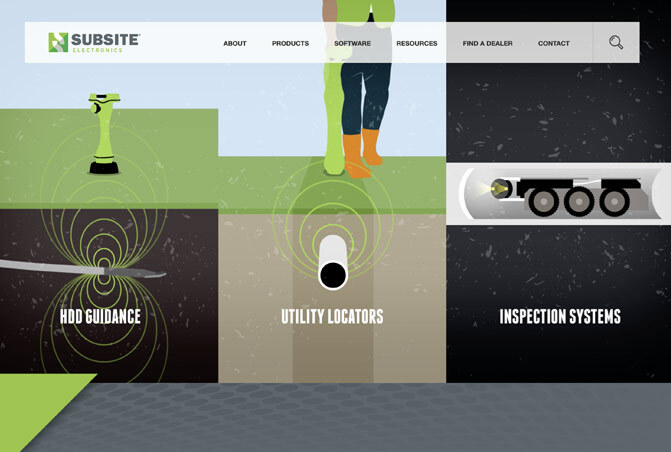 Subsite has developed the most comprehensive suite of products to keep underground construction professionals safe and efficient. BARN3S created a website that highlights the vast contributions to their industry. 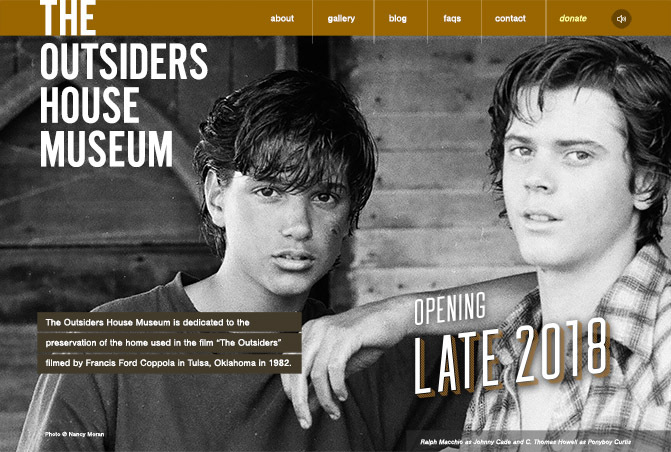 The Outsiders House Museum is dedicated to the preservation of the home and memorabilia used in The Outsiders, filmed by Francis Ford Coppola in Tulsa, Oklahoma in 1982. 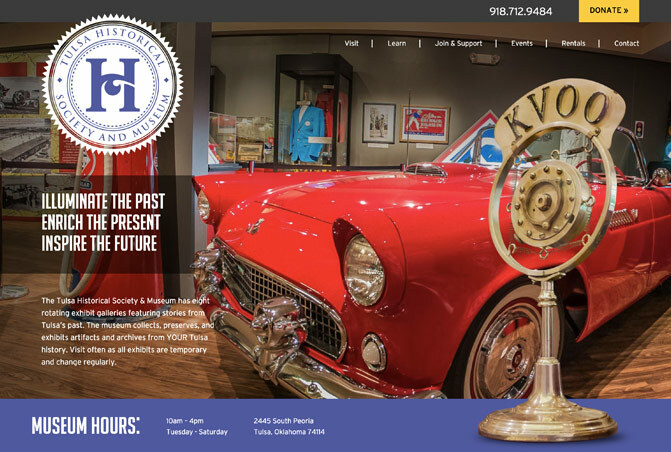 BARN3S designed a media-rich website that encapsulates the vast significance the movie and museum has on fans across the world. 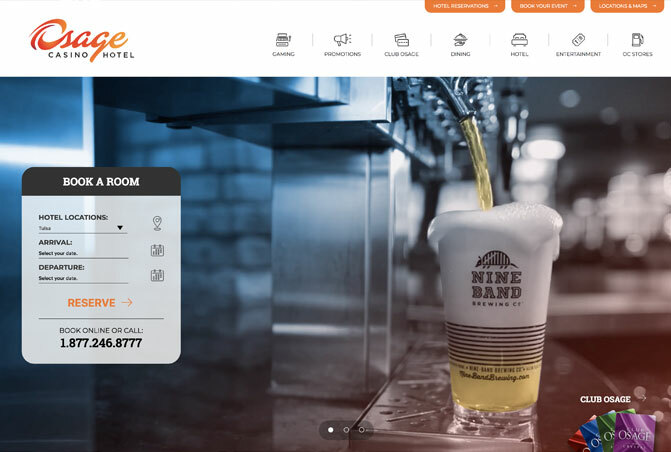 Osage Casinos was in need of a website that communicates fun and spontaneity while still having simple functioning and ease of use for a variety of clients. BARN3S designed a new website that functions beautifully for users of all ages on a variety of platforms. 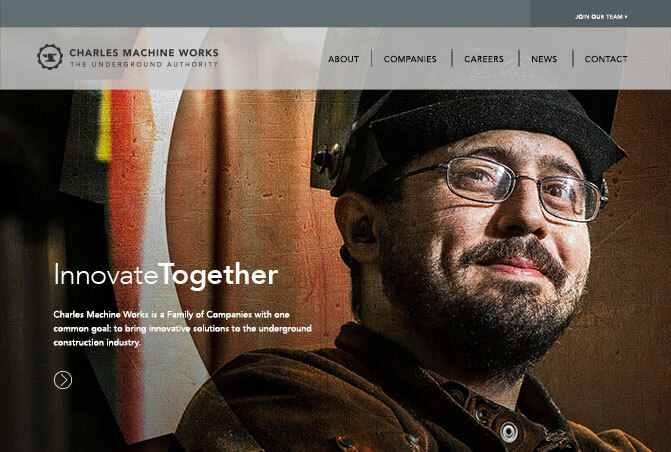 Charles Machine Works is a family of companies with one common goal: to bring innovative solutions to the underground construction industry. BARN3S created a website to emphasize brand understanding and significance. 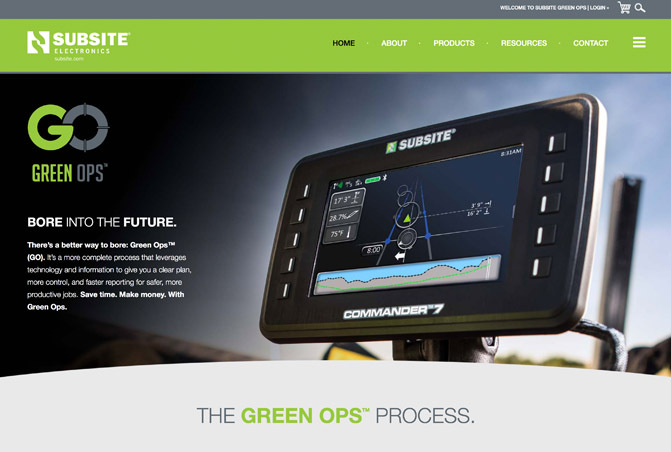 Subsite® pioneered new technologies that make a safer, more productive jobsite possible. 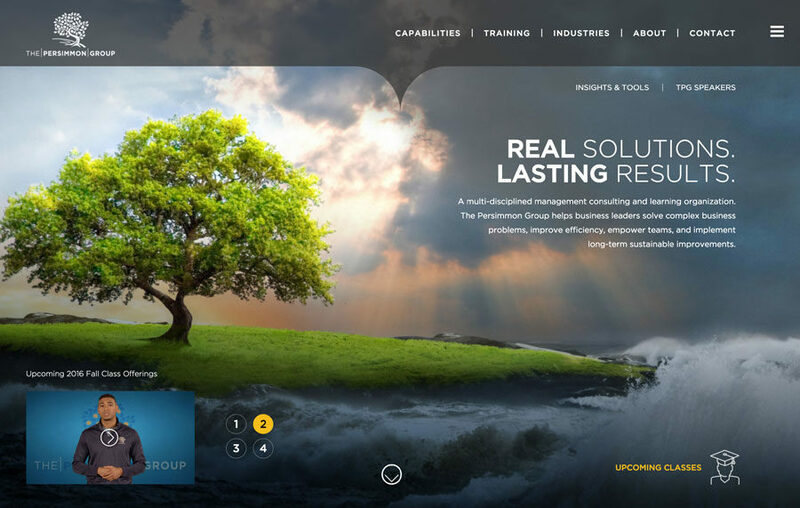 They needed a website to reflect their innovative approach, and that’s where BARN3S stepped in to create a website that uniquely highlights the cutting edge Green Ops process. Lilly Architects have a philosophy that good design is timeless and has the power to have a positive impact on quality of life. BARN3S designed a website which digitally brings to life their portfolio and embodies their philosophy. John Zink Hamworthy Combustion is a global leader on emissions control and clean-air combustion systems. When work began on their website it was disjointed and extremely difficult to navigate. BARN3S re-designed the website to meet the challenges of presenting a large volume of content to a global audience. The content is lean, loads swiftly and key content is front and center. 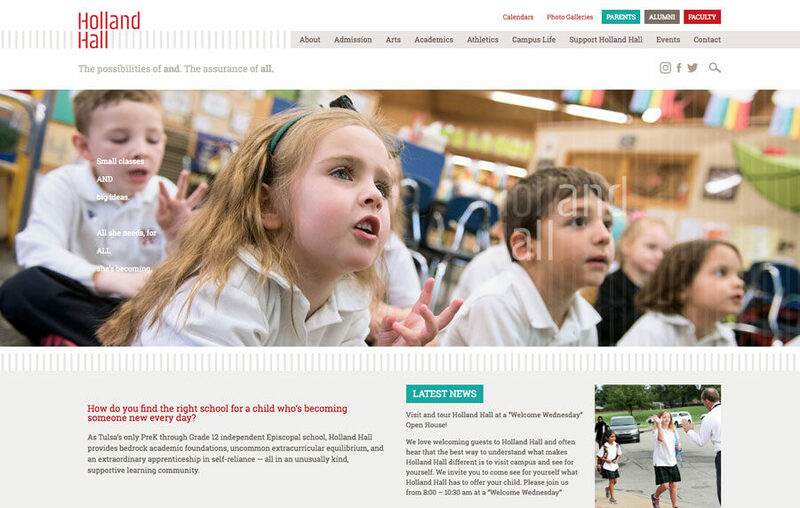 BARN3S designed and developed a dynamic and useful website to meet the distinct needs for alumni, faculty, parents and students of Holland Hall, Tulsa’s only PreK through 12th grade independent Episcopal school. This website gives the end-user the ability to pay tuition, view calendars, join groups and more. 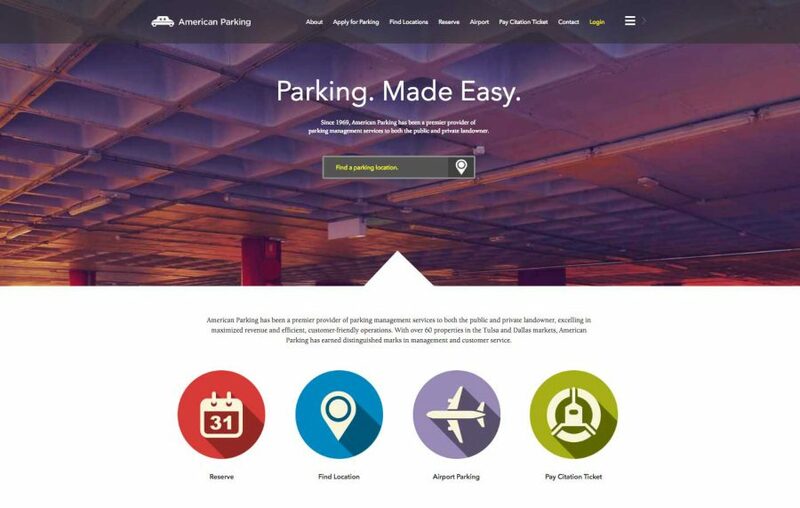 American Parking has been a player in the Tulsa, Oklahoma City and Dallas parking markets for many years. BARN3S designed a dynamic website which hosts a variety of consumer friendly services that enable drivers to find parking locations, reserve parking, pay citations and more. 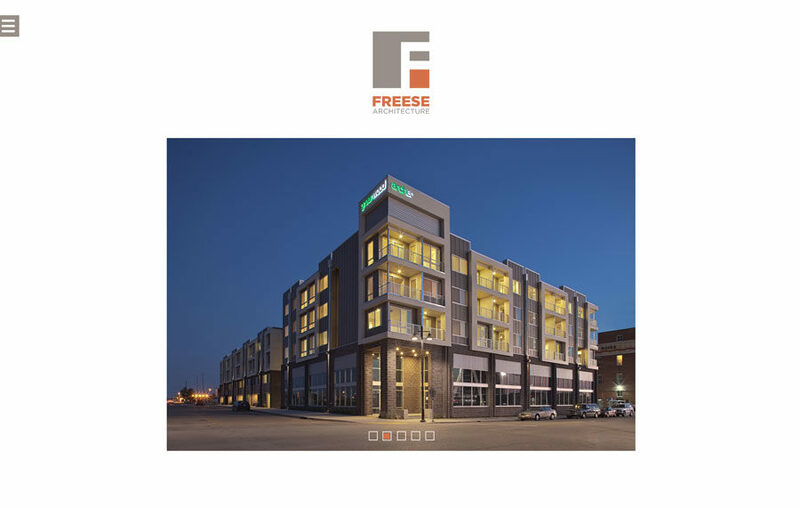 Freese Architecture has a mission to create built environments that embody beauty, utility, sustainability, and honesty. BARN3S designed a website which digitally emphasizes their portfolio and reflects their philosophy. 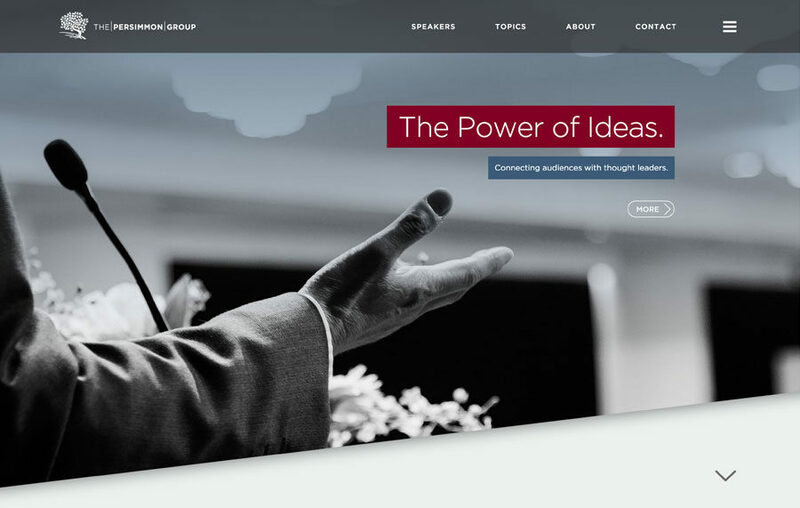 The Persimmon Group Speakers Agency is a division of The Persimmon Group, a management consulting firm. Its core purpose is to promote the impressive roster of speaker talent and showcase their knowledge. This website borrows visual cues from its sibling site, but also possesses a unique angled layout that sets it apart from its competitors. 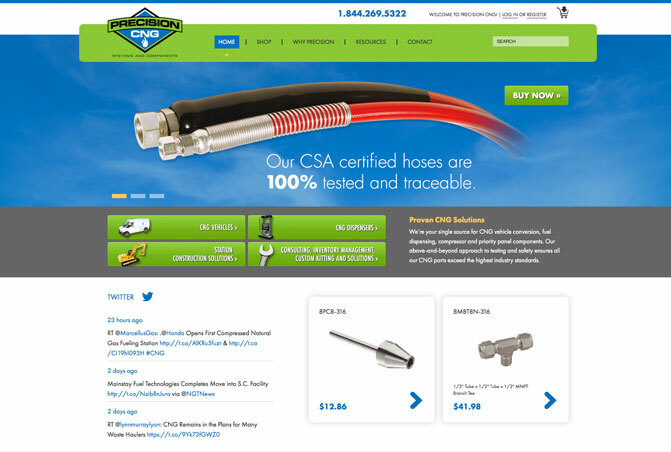 As a single source provider for CNG vehicle conversion parts, Precision CNG needed a website that could house an e-commerce component with a vast number of products. BARN3S created the site which is now one of the only ones of its kind in the CNG market space. 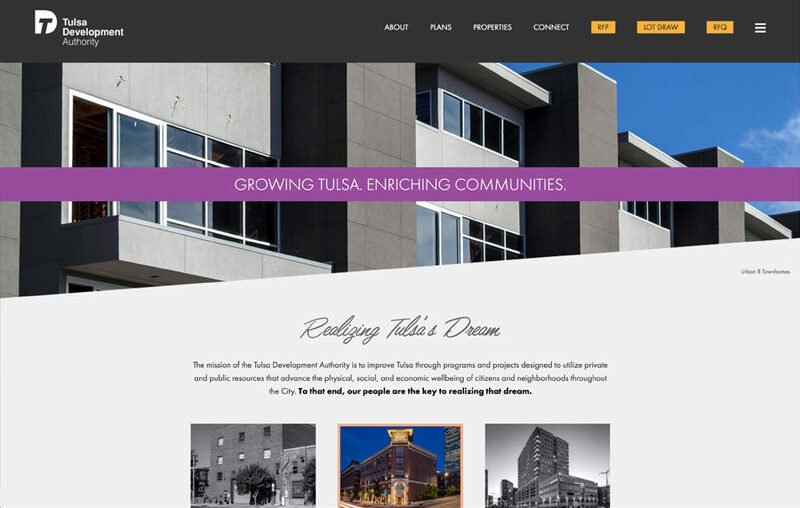 The Tulsa Development Authority (TDA) has a mission: to improve Tulsa through programs and projects that enhance the lives of citizens and enrich neighborhoods around the city. 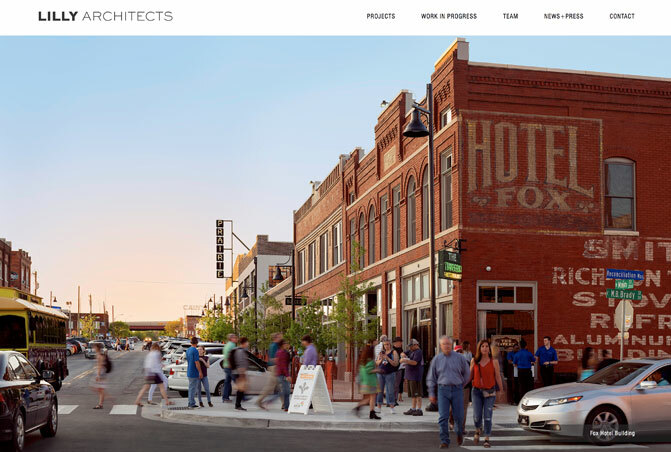 BARN3S designed a website which uses clean lines, beautiful photography and simple graphics, the website conveys the important role TDA plays in the city’s infrastructure. BARN3S designed and developed a dynamic and responsive website for The Persimmon Group. This site gives the end-user the ability to peruse the vast listing of course offerings as well as sign-up and pay for classes. 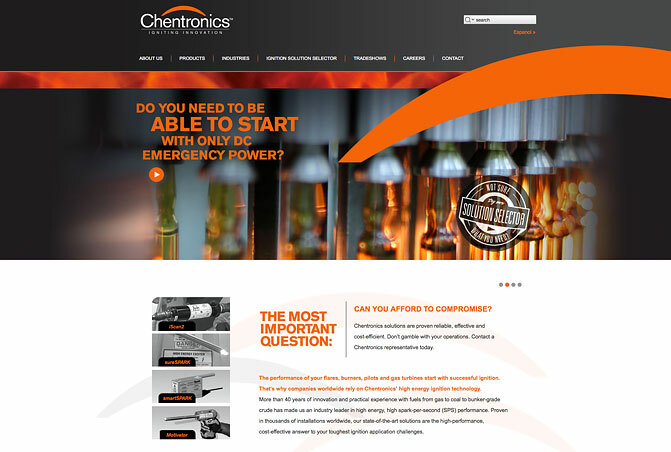 Chentronics has more than 40 years’ experience and thousands of high energy ignition systems installed worldwide. BARN3S designed a website which showcases their expertise and state-of-the -art products. 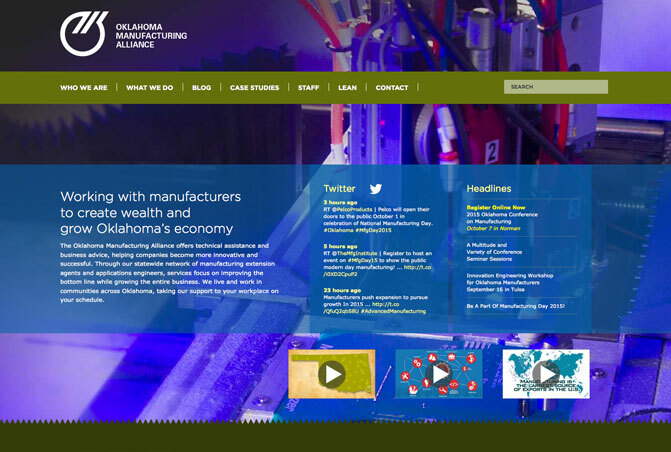 Oklahoma Manufacturing Alliance helps companies succeed by offering technical assistance and business advice. They enlisted our expertise to create a website which helps them share their services with the Oklahoma manufacturing community. A regularly updated Twitter feed is featured prominently in the site. 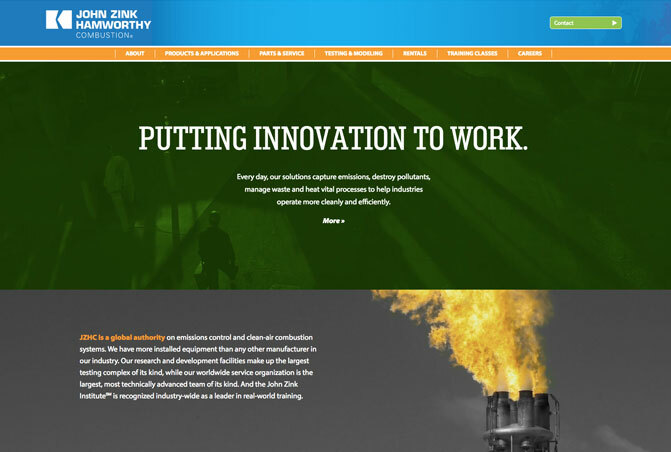 John Zink Hamworthy Combustion is a global leader in emissions control and clean-air combustion systems. BARN3S designed an application for the company called Emissions+. 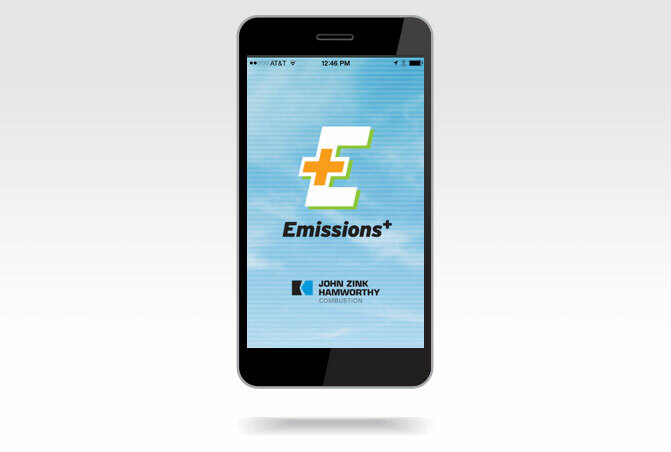 The app allows the user to convert emissions, liberation or pressure and has over 800 other conversions available. The app is compatible with iOS and Android platforms. © 2019 BARN3S. All rights reserved.